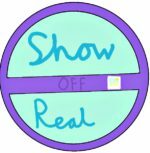 Really liked this idea for Show Real Blogs by Kate at Kate on Thin Ice! The idea is to share stories about your ‘real’ life, as opposed to the ‘highlights’ reel we often share on social media. So, I am currently trying to renew my rental contract for my lovely apartment. I have a great landlord, I’m in a wonderful part of Oxford, the rent hasn’t gone up in three years and basically I would sell a kidney to stay living here if I needed to. …Alas, they did not email back until the following Monday. … only to have my spouse remind me that we’d already organised to visit my parents Friday evening and some friends on Saturday. D’oh! … and got an out-of-office saying the person wouldn’t be back until Thursday! Nooooo! … only to discover that I had called the WRONG AGENCY. I did eventually manage to get through to the right person and have got an appointment for 4pm tomorrow. Cross fingers that I actually manage to make it there, with all the correct documents! Lol! Ah the perils of email! My stepdad hates email, insists on phoning people so you get an immediate answer! Hope the signing goes smoothly! Thank you! I think your stepdad has the right idea – a phone call is usually the quickest way to sort something out! Thanks for coming up with it 🙂 Love the idea. Oxford is lovely – have been a few years now, and it is great for both access to countryside and access to city things like museums.